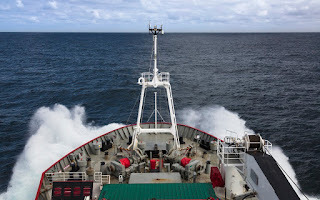 From our bumpy departure from Stanley southwards across Drake Passage – renowned as one of the roughest seas on Earth - we have been fortunate in experiencing only moderate sea states. 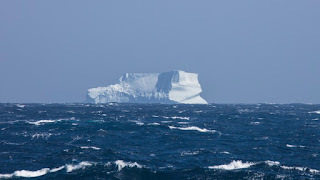 But even these were enough to send many of the group to their cabins, or to see the ship’s doctor Pips for medication. Soon enough, however, there were some stunning distractions that lifted spirits. 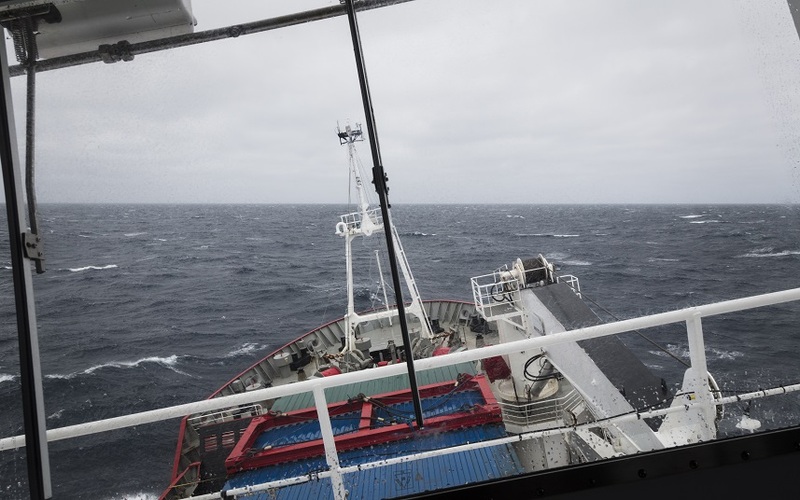 First the seabirds wheeling around the ship: great skuas, Cape petrels and, for many of us, our first sight of albatrosses. 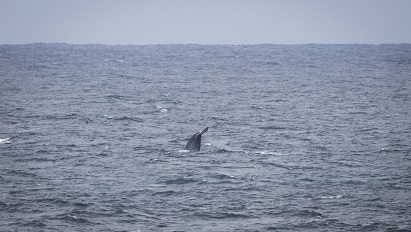 Then some of us sighted the first whale of the trip. 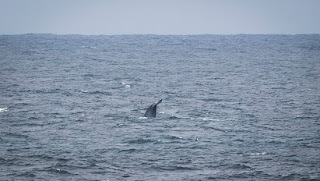 Experienced whale watchers considered it to be a fin whale. Alexis saw the puff of air and water over portside in the distance and soon after, there it was, showing its tail whilst submerging again. Continuing our crossing towards Elephant Island and then on to our first site, Marion Cove on King George Island, part of the South Shetlands group at the tip of the Antarctic Peninsula, snow fell on deck. 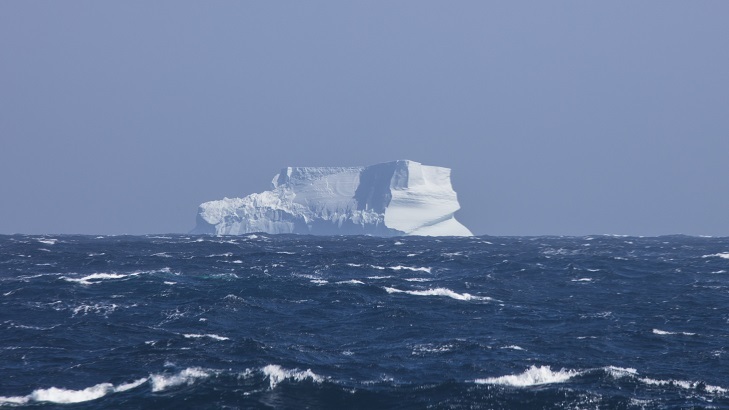 And then, in the distance on the starboard bow, a humbling and moving sight, our first iceberg. 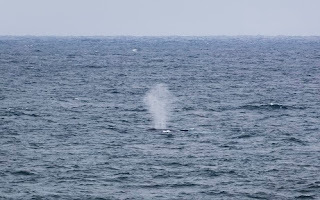 Alejandro’s photos show it to be of the tabular variety (having calved off a floating ice shelf or ice tongue). All the final equipment and laboratory preparations are well underway so we can start working as soon as we arrive at about 12 midnight. 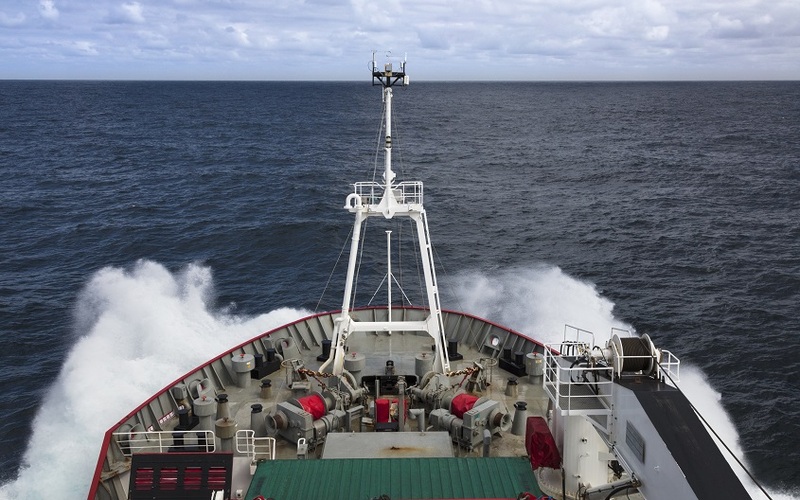 The views of the South Shetland Islands should be spectacular, so stay tuned! All the best from the ICEBERGS team!